TIP (Tourism Information Point) North Amsterdam gives you the opportunity to visit the Dutch capital in the best way possible, by bike! Get away from the bustling city and take a bike trip through old Dutch villages just outside the city in Waterland, or visit hip hotspots or historic neighborhoods in North Amsterdam. Once you have visited North and the surrounding countryside, you can venture into Amsterdam’s city centre. We are just 5 minutes away from Amsterdam Central Station, making us the capital’s most central bike hire shop. Just take the Buiksloterweg ferry behind Central Station and you are there, couldn’t be easier! We have two types of bikes to rent: tour & city bikes. The tour bikes have handbrakes and gears. The city bike brakes by peddling backwards or using the handbrake, these bikes have no gears. In addition to bike rental and repair services, we also provide various routes through North’s countryside and the city. These routes are free of charge and you decide what you want to see. If you wish to hire one or more bikes, you can, of course, book in advance. Just complete the Book Now form at the page bottom. You can cancel your booking free of charge, as long as you do so 24-hours in advance. 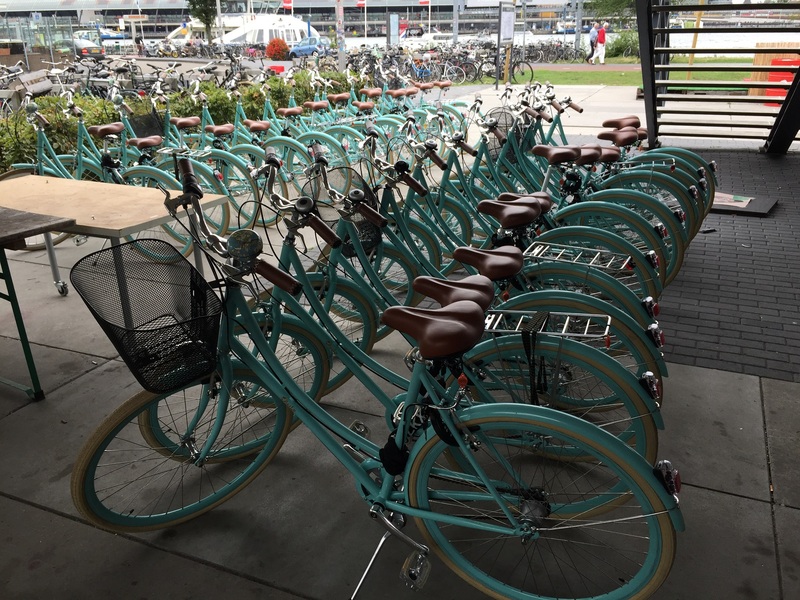 Terms and conditions for renting a bicycle and bike rules in Amsterdam. 1. In case of theft, you will be obliged to pay the market value of the bike (€ 200 for a tour bike and € 150 for a city bike). 2. In case of damage, the customer will be charged the repair costs, which must be paid immediately. 3. Proof of identity and residence address are required. 4. For € 3 per day, you can insure the bicycle against damage and theft. In case of theft, you have to be able to hand over the key and a report of the theft to the police. 5. It is prohibited to ride the bike with more than one person. 6. Upon loss of the bike key € 12.50 will be charged, if the bike needs to be picked up € 50 will be charged. 7. Bike(s) is (are) not insured against liability, theft or damage. 8. Parking is only allowed in the designated areas. Ferries are free, at night the only operating ferry service is to Buiksloterweg. Don’t forget to tell us your preferred pick up time.